He gives strength to the weary and increases the power of the weak. …Those who hope in the LORD will renew their strength. Paul exhorts the believers in Galatia to not become weary in doing good, especially when it involves those in the family of God. He says that a harvest of righteousness will come in due time. 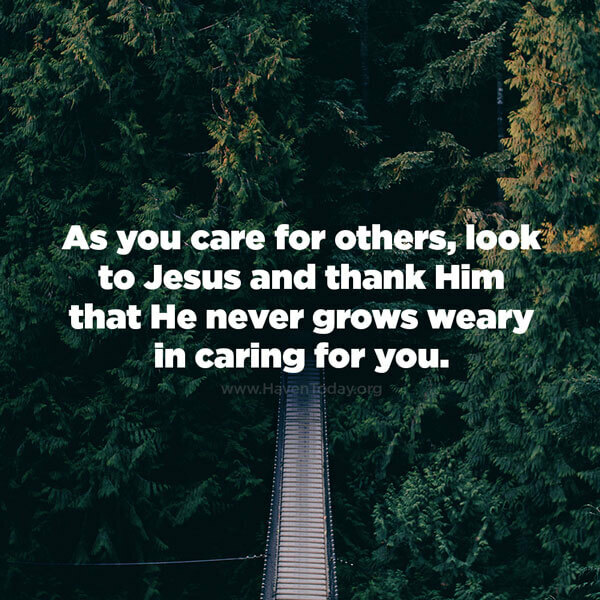 As you care for others, look to Jesus and thank Him that He never grows weary in caring for you.